The mission of the Oklahoma Department of Transportation is to provide a safe, economical, and effective transportation network. Benham was chosen to design several of Oklahoma’s main highways and roadways to help the department achieve its mission. 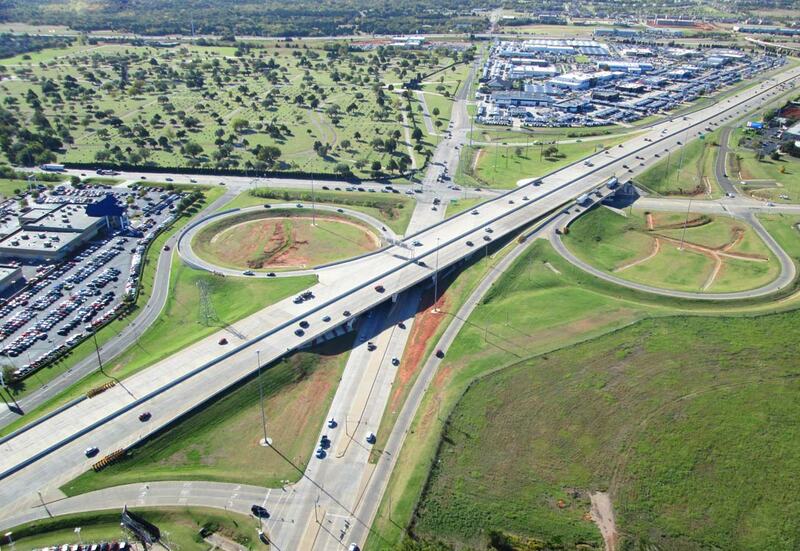 Benham helped design and engineer Oklahoma City’s I-235/US 77/I-44 interchange and I-235/I-35 /I-40 interchange. 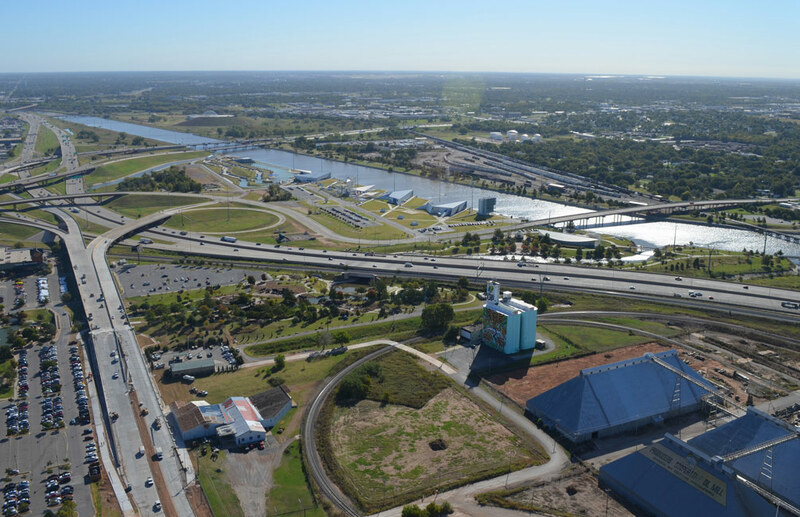 The new transportation design and construction of these highways and roadways provides direct access to the offices of state government, a major medical campus, and a broad spectrum of urban land uses, including industrial, commercial, rail transportation, and residential neighborhoods. 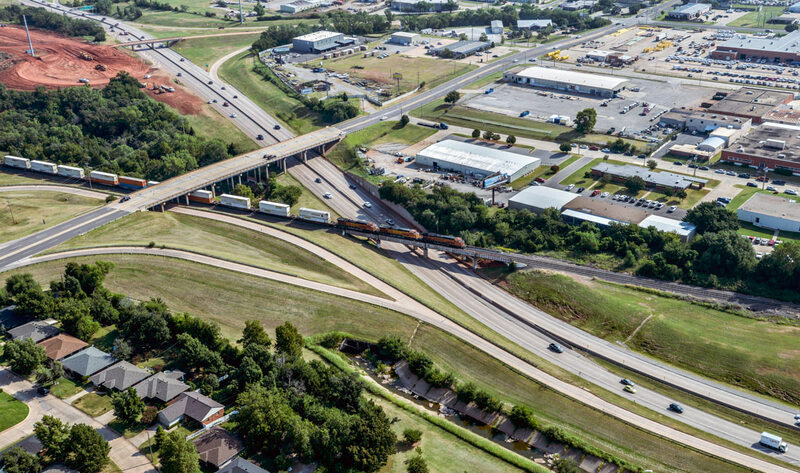 The I-235/US-77/I-44 Interchange project, consists of a three-mile segment of north-south urban interstate highway located between 36th Street on the south and 63rd Street on the north in Oklahoma City and two urban interchanges (NW 36th Street and NW 63rd Street) and the I-44/I-235 four-level interstate interchange. This project included extensive interstate highway geometric design, three multilevel interchanges, complex multilevel bridges, roadway and bridge hydraulic analysis within FEMA floodplains, two railroad crossings, urban street and intersection design and utility locations and relocation coordination. Together these three locations comprise a major collection of highway infrastructure elements. This project was divided into 10 construction phases with a total estimated cost of $120 million. The I-40 Interchange at I-35/I-235 is at the crossroads of America and is the entrance gateway to downtown Oklahoma City. 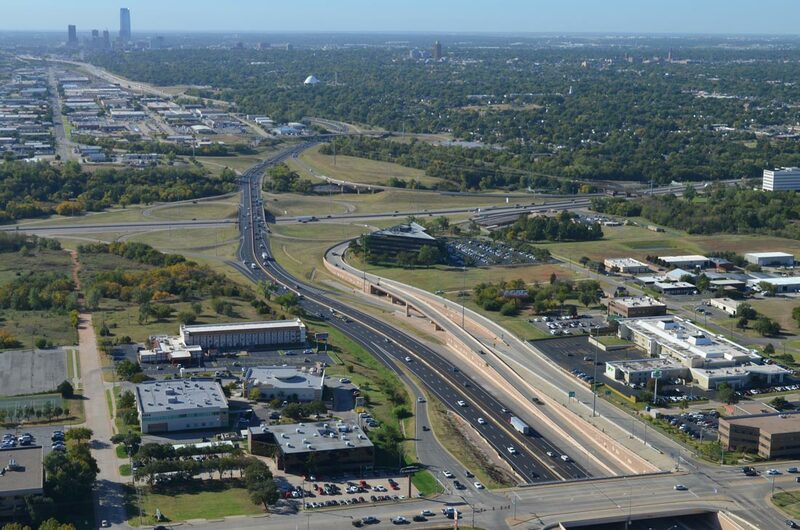 The I-40 interchange is one part of the complete relocation of the I-40 Crosstown Expressway in downtown Oklahoma City. 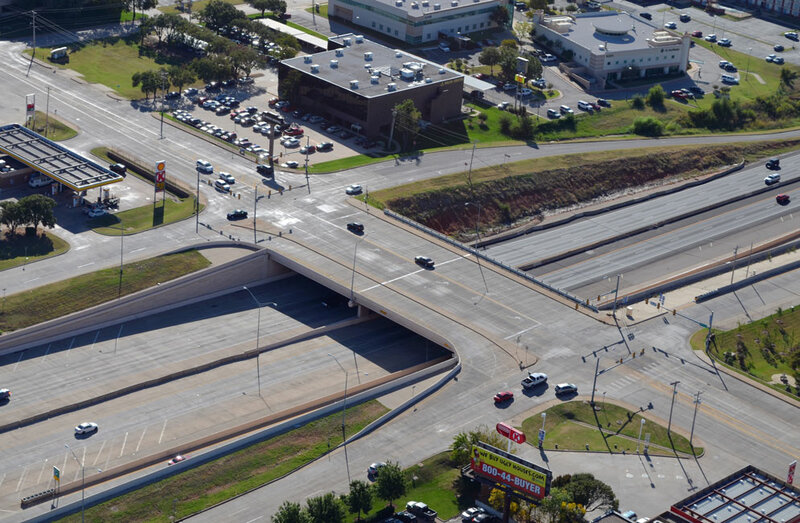 The I-40 interchange at I-35/I-235 is an urban interstate highway requiring extensive interstate highway geometric design with a multilevel interchange, complex multilevel bridges, and coordination with existing urban streets and intersections, including streetscape. The I-40 interchange at I-35/I-235 was divided into five separate construction packages with a total estimated cost of $150 million.